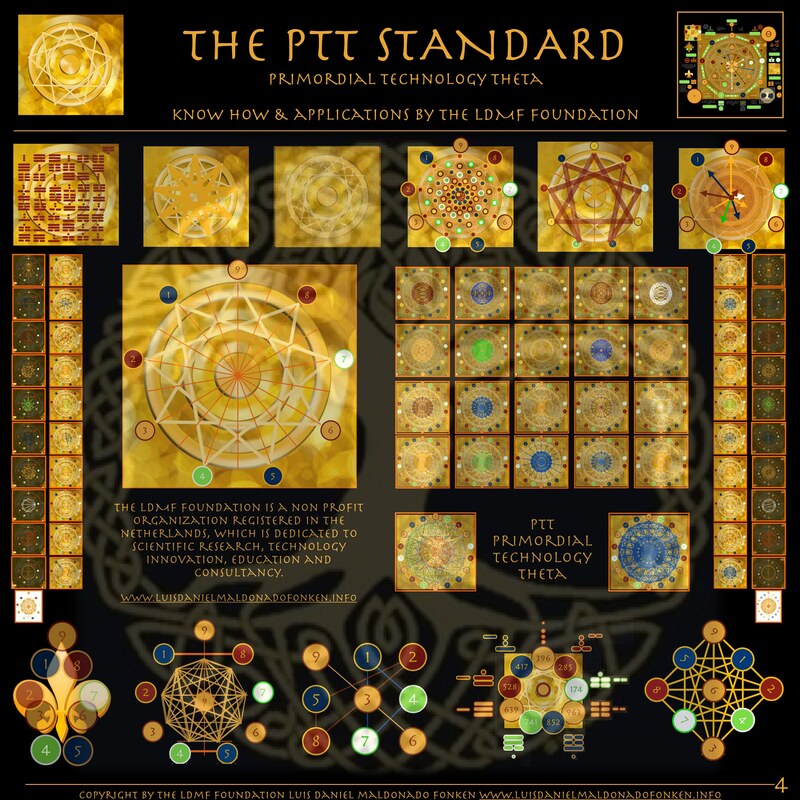 The PTT Standard is now being utilized as an essential tool for the LDMF Foundation, a non profit organization registered in the Netherlands, which is dedicated to scientific research, technology innovation, education and consultancy. The LDMF Foundation aim is to protect, promote and develop the core know how and its applications i have created, and make it available for future generations, for the advancement and development of an emerging global culture and civilization in peace. 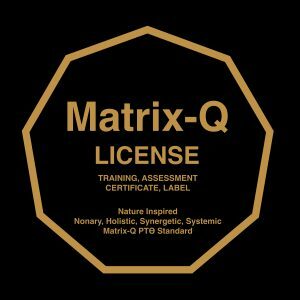 Through the PTT Standard is being provided an evaluation of skills developed with PTT Trainings, Matrix-Q (Intelligence) and ability of tangible application of those skills and PTT Tools. As result of the evaluation a rank is given to the PTT Users. After completion of specific training programs PTT Users will receive certificates that verify in combination with their rank their level of expertise and give a reference to their capacity of responsible application of PTT Know How. PTT Certificates for trainers, coaches, consultants, CXOs, researchers, technology innovators are provided by the LDMF Foundation since 2016. An Internship program has been designed, and is being implemented at the LDMF Foundation, in order to provide a gamified multidisciplinary training program for all PTT Standard Certificates. The CXO program offers all certificates, plus experience of application in real projects and services developed by the LDMF Foundation. 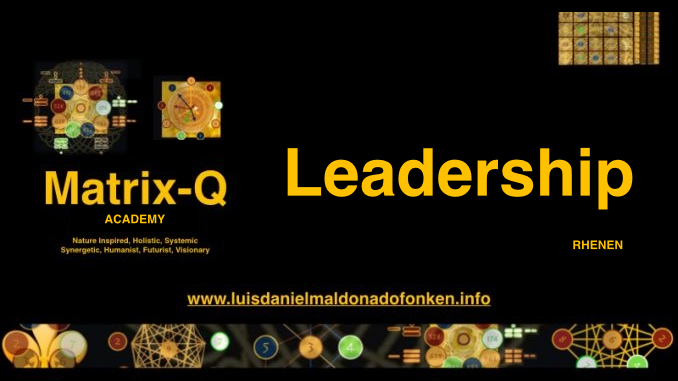 In order to become a member of the LDMF Foundation, candidates must join the CXO Program. In the year 1987 a question did not let me sleep. The question was regarding organization management and organizational models. In following years i would answer the question several times. I found solutions to issues i perceived as essential, relevant for an organization that intents to behave according to its mission statement. Year by year i will learn more about organizations, strategic management, security, HHRR, leadership, self-management, gamification and governance. My experience brought me to the understanding that a for profit organization behavior define its behavior through its own culture, police, mission statement. While individuals may agree or disagree with it, the perception, assessment of value, decision making, behavior of customers and employees in relation to the organization may vary according to preset interest. For example employees want something very fundamental, to keep their jobs. On the other side, for non profit or for profit organization, funding is essential for their development as well as human resources. Strategies for management would lead the organization and their teams to an outcome in the search for resources, including network and as well partners, but essentially looking for customers. In which sense, and which is the level of impact, employees, customers and network (human factor) can define the future of the organization and its development? The answer i was looking for will not be found in mission statement, nor in corporate culture agreements or policy, nor in the strategic management guidelines or in the decisions made by the CXOs. As usual, the question leads the path to the answer : The study of the human factor is essential. In that sense, i have developed models, tools, that would help organizations advance their management of the human factor. Tested them since 1987 and implemented them in organizations for profit and non profit. The first results i did share in the year 2007 with the first series of publications, dedicated to Symbolic Language and Elements Management. 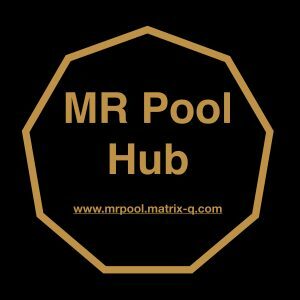 Along 2008-2011 i will describe a set of rules and principles to be utilized in the practice of those models and tools i created, in order to create an holistic, integral, groundbreaking impact with them. With the set of results and rules suggested i did create a standard with focus on holistic sustainable development and strategic management of the human factor, the EM900, which was suggested as a tool for strategic management to my customers and students and the foundation for a CXO training program. The final goal was to suggest a new approach for strategic management, and a new role in the corporation/organization dedicated to holistic strategic management based on the EM900. In following years, i will focus on applications of strategic management and in particular of my know how, in other disciplines or fields. Taking in consideration that i did reach important results in fields of education, performing arts, self-management, preventive health, strategic management, gamification, system analysis, i would decide to apply the know how and the EM900 to new fields of interest. 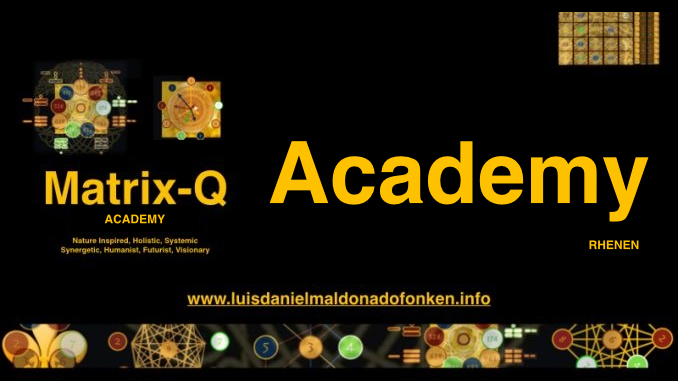 Social issues like social management algorithms, economy, peace, human rights, family, single parenting, sustainable living, heritage, legacy, wealth generation, burnout prevention will become the next fields in which i will focus for the development of solutions, applications of the know how. After some additional years of continues research and know how development i arrived to new adjustments and conclusion in my studies and decided to do an upgrade to the whole system. The EM900 Applied, found a a new process of transformation, by integrating by experiences of application abroad in Belgium, Germany, Austria, Italy, Russia & Finland. In the years 2014-2015, new applications will be shared, for family, business, culture, peace, self-management. Conclusions and advanced studies will be published at online scientific networks in 2016-17, more than 200 new publications (from a total of 360+ publications) will be shared and a new standard will be developed. 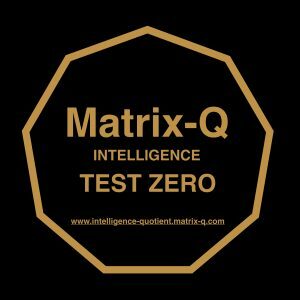 In this next step, the know how upgraded will receive the name of PTT, Primordial Technology Theta, with focus on Matrix-Q Intelligence applied (Matrix thinking, perception, decision making), a nature inspired know how, which is holistic, synergetic, futurist, visionary and humanist in its nature; which as well will help its users to design solutions to challenges by approaching them from several perspectives simultaneously. 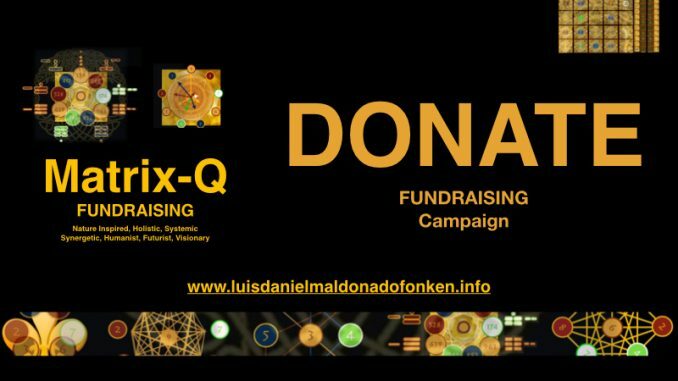 Mr Luis Daniel Maldonado Fonken is the Founder, Chairman and CEO of the LDMF Foundation. Leader of the Research Project. Developer of the PTT Technology utilized for the project development. In charge of evaluation of candidates to collaborators. 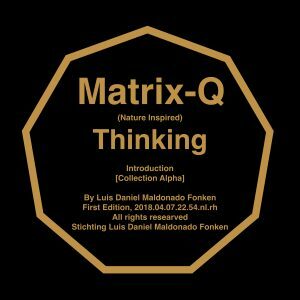 He has been dedicated to Know How Development since 1993, through the study of laws, cycles, rhythms and principles of nature, biohacking, personal development and human potential studies, study of ancient cultures knowledge and technology developed with a futurist, humanist and holistic approach. Futurist, visionary, humanist and philanthropist. Business Consultant, Coach and Trainer. 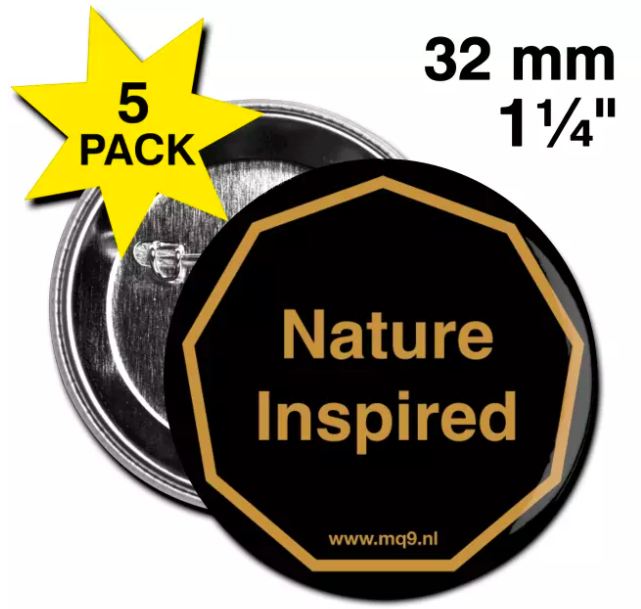 Martial Arts, Yoga, Meditation & Performing Arts Trainer. With Multidisciplinary studies: Science & Math for engineering, I.T., Business, Education & Personal Development. 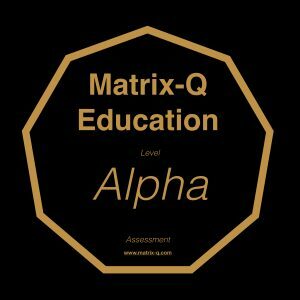 His know how has been upgraded since 2000 several times, now known as Primordial Technology Theta, includes assessment tools, strategy and decision making tools, methods for the quantification of value, score card, as well as Training programs for self-management & strategic business management. 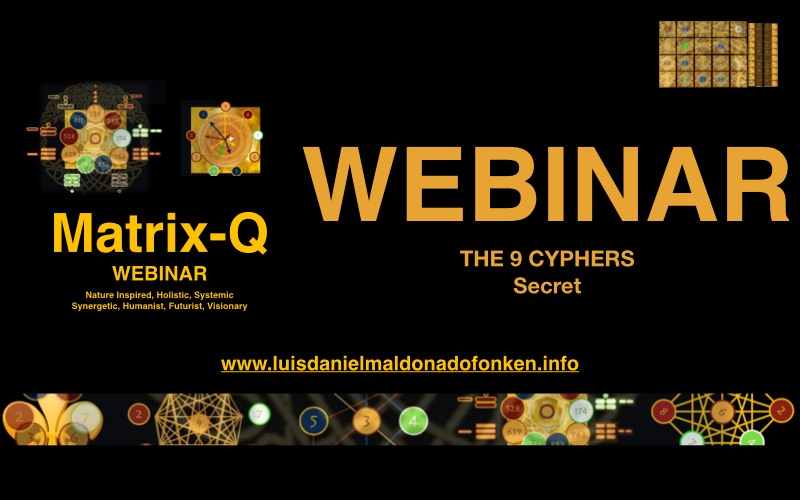 With experience in business consultancy, and business entrepreneurship, since the year 2000, in countries like Chile, Peru, Switzerland, Italy, Germany, Austria, Russia, Belgium, Finland and The Netherlands. 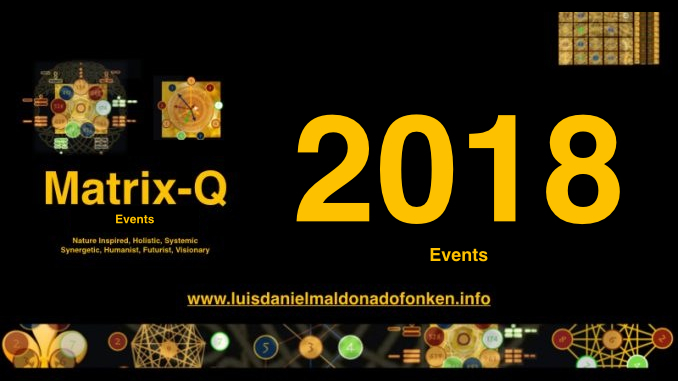 Mr Luis Daniel Maldonado Fonken is also an author, published more than 160 e-books dedicated to innovation in the field of strategic management, peace & personal development since 2007. 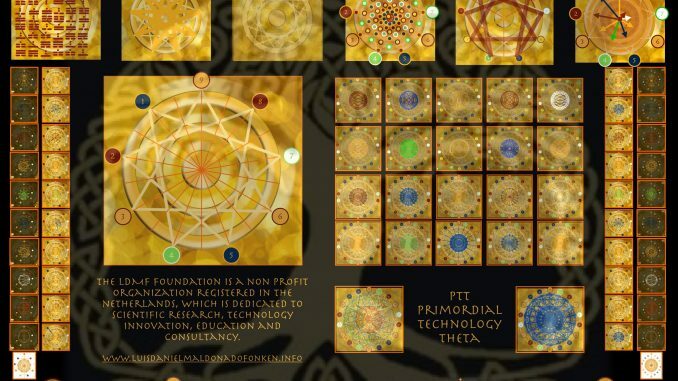 The Primordial technology Theta e-Books Collection. Through his know how, he provides tools for the design of new strategies and solutions necessary for the development and advancement of a global culture and civilization. As Founder and Chairman of the LDMF Foundation is dedicated to research and technology innovation, since 2016. Since 2012 he is dedicated to work on social issues, related to peace, human rights, non violence, ethics, economy, family. Already engaged into sustainable development projects, street children programs, since 1995. Preventive intervention programs will be as eel supported and developed by the LDMF Foundation. The LDMF Foundation is a not for profit organization dedicated to 3 fields of work: Research (Innovation Technology), Strategic Management Consultancy, Peace and Human Rights . In the research field we focus on the study of principles, laws, rhythms and cycles of nature, human potential studies (human factor, human stages of development), futurist study of ancient civilizations know how and technology. 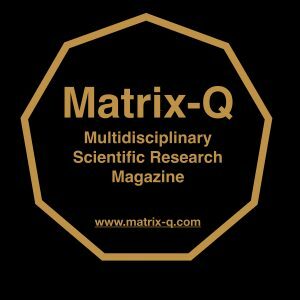 Our fields of research: Strategic Management, A.I., Human Potential Studies, Human Genome / DNA Studies , Life Span / Anti Aging, Ancient Cultures, Peace, Human Rights, Global Culture & Civilization Advancement. 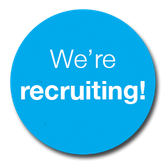 We provide education, coaching and consultancy services for public and private sectors. As well we do design and develop projects dedicated to peace, human rights, culture and family care. Through the integration of our know how, services and standard, we support entrepreneurs start ups, by providing a business incubation program. As a not for profit organization, our i am is to design strategies & technology for the development of an advanced global culture & civilization in peace, where human rights are observed, non violence and ethics are practiced, family, life sustainability and heritage are priority.